Lewisias are native wildflowers from the Pacific Northwest and from the Rocky Mountains. during his quest for the Northwest Passage. 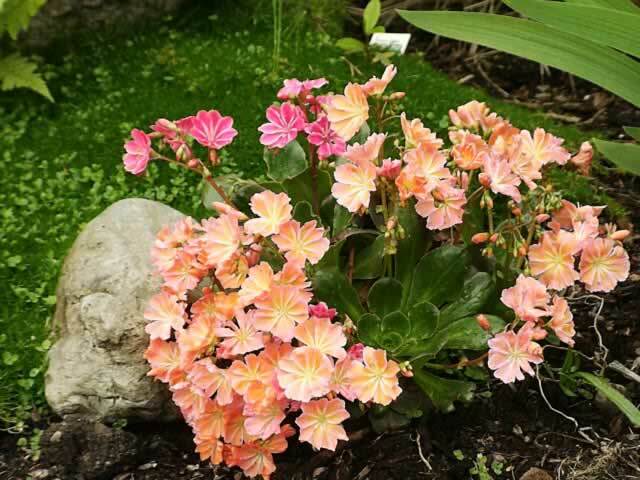 The most critical requirement for successfully growing Lewisias is near-perfect drainage around the plant's crown to prevent rot during the winter months. Plenty of fine gravel, coarse sand or granite grit should be mixed in with the soil at planting time. Lewisias prefer cooler climates, where they should be grown in full sun. They can be grown in warmer areas if they are planted in light shade. If watered regularly, many hybrids will bloom two to four times during the growing season. Protect from winter moisture. Feed monthly during the growing season using ½ strength, all-purpose fertilizer. Bitter Root plants are ideal for growing in your rock garden or for a low growing border. Lewisias are also suitable for growing in planters, and can even be grown as a house plant if you can provide a 50° environment at night. Indoors, provide full sun and allow the soil to dry before watering. or after they've finished flowering. Seeds can be sown directly in the garden in late fall or winter, except in warmer climates. 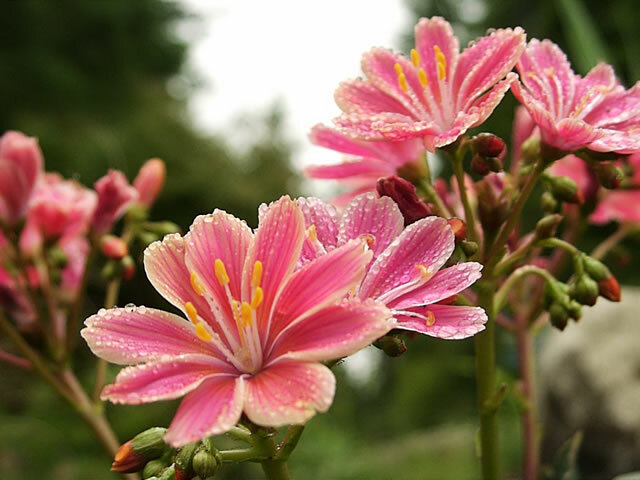 To start your Lewisia seeds indoors, sow them in moistened growing medium and place in the freezer for three weeks. After freezing, maintain a temperature of 70° within the growing medium until germination, which takes 30 days. Lewisia columbiana produces a multitude white flowers with pink veins atop 12" stems all summer. Plant forms an 8" clump of narrow green foliage. 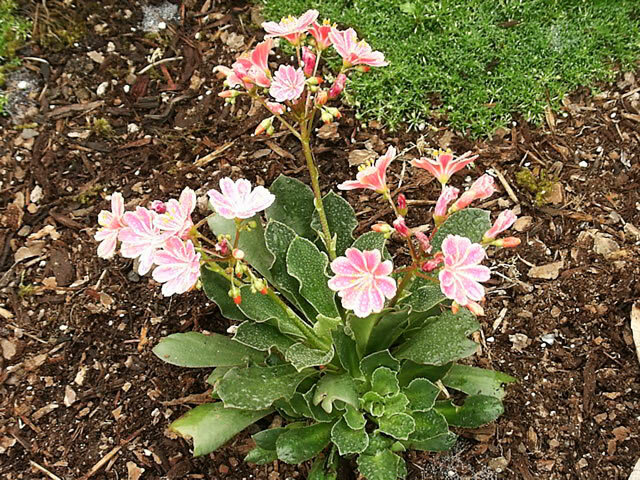 Lewisia cotyledon produces clusters of 1" flowers on 10" stems in shades of white to pink or gold, occasionally with red and white stripes. Blooms from spring to early summer. Easily hybridized. Lewisia howellii produces 1-5, 1½" white to rose-pink flowers on 8" stems. just as the foliage dies back in the spring. 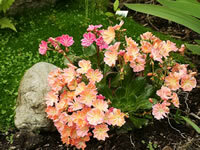 Lewisia tweedyi has single, satiny, salmon pink flowers atop 8" stems from spring to summer. Plant forms a beautiful 8-12" rosette.